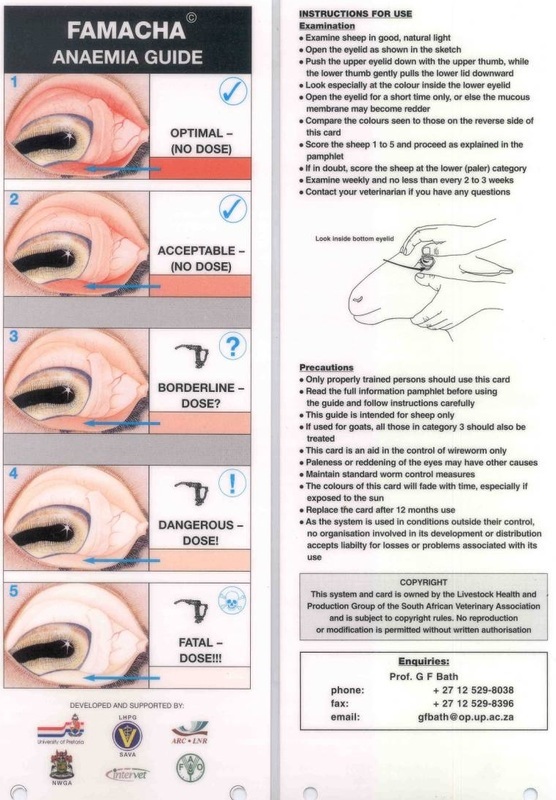 FAMACHA is a quick and easy way to access the level of anemia of a goat (or sheep). This method is most useful for detecting which animals are suffering from a high load of Barber Pole Worms (Haemonchus contortus.). Other parasites can still affect your goat however not all of them cause sever anemia. Barber pole can cause sever anemia often times without any other syptoms. Your goat can be bleeding to death internally without you even knowing it. By checking eyelids every 1-3 weeks a producer can decide to only deworm those that are in urgent need of treatment. It is best to avoid deworming the entire herd because this can lead to parasites that are resistant to dewormers. 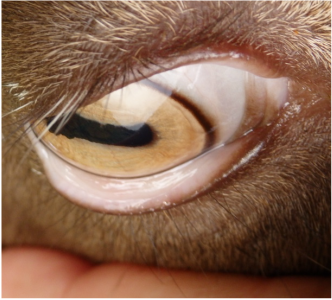 Below: Eyelid of a goat that is near optimal. No deworming is needed. 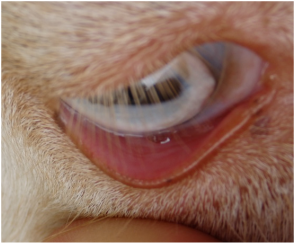 Below: Eyelid of a goat suffering from near fatal load of Baber Pole worms. This goat, although she appears healthy on the outside, is in a critical state.